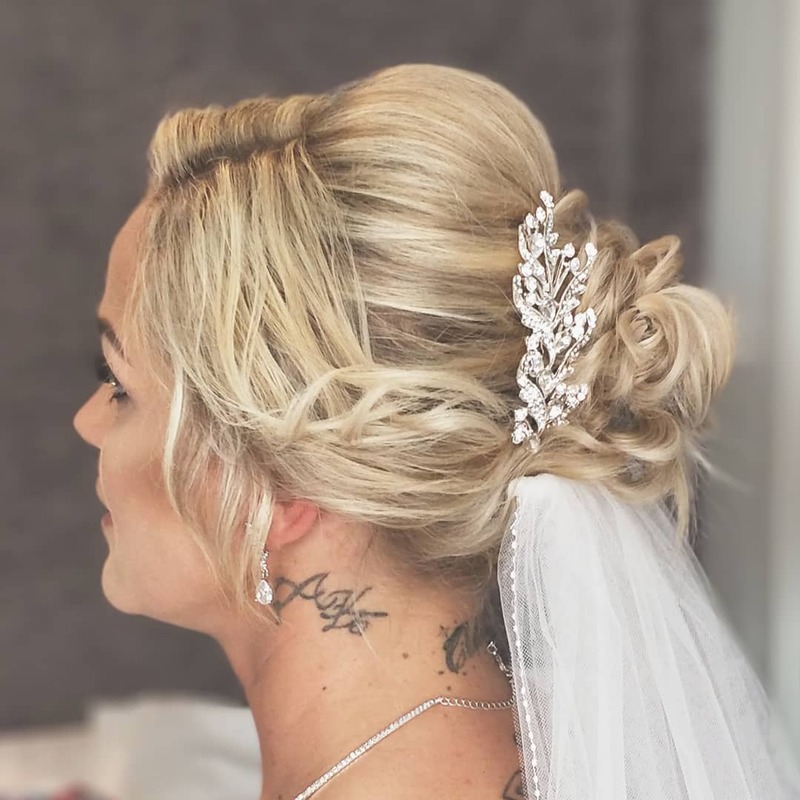 Instagram is a great place to share photos with loved ones and let your follows tag along with you on all the adventures you take, but did you know Instagram is also a great place to visit when you are trying to get some inspiration for your hair. 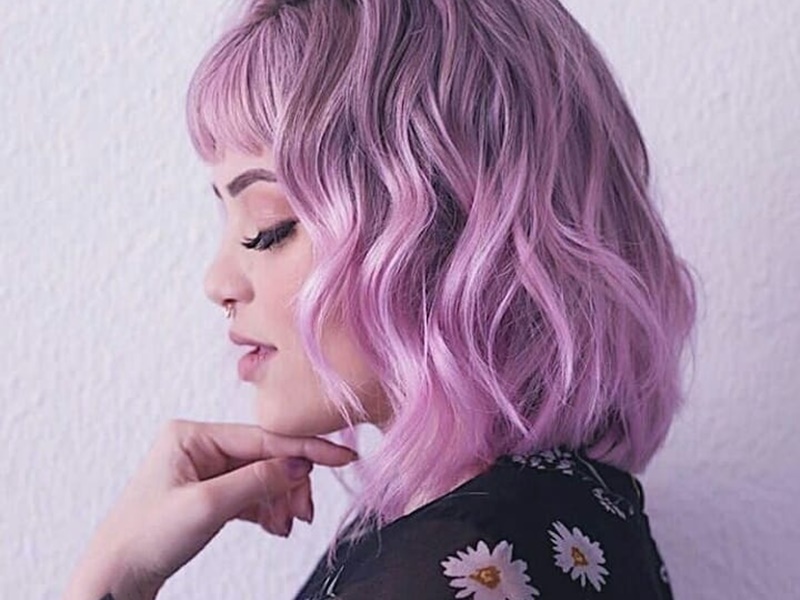 With the numerous different hair accounts, plus hashtagging, you can easily find a short hairstyle that is right up your alley all while browsing Instagram. 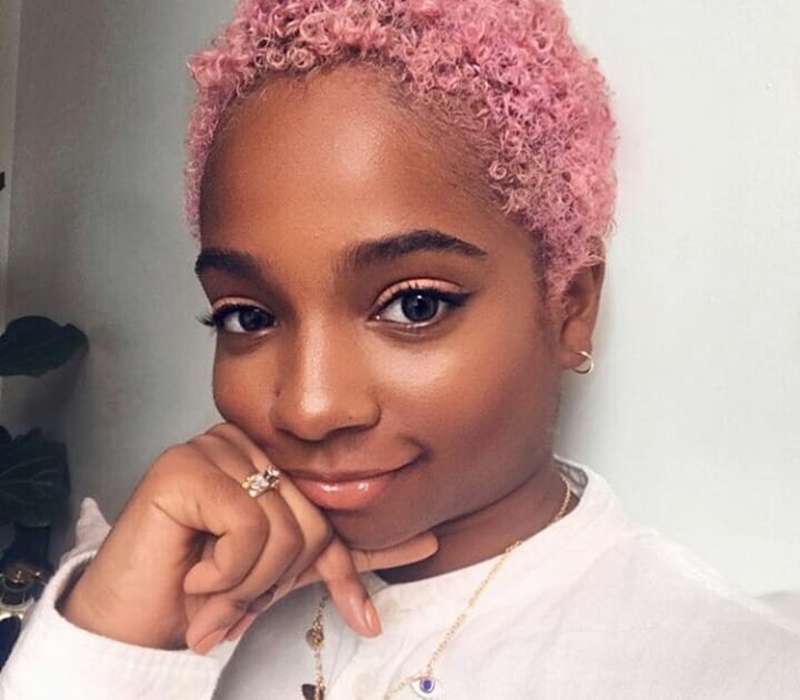 From beautiful lobs to pixie cuts that are full of color, or super sleek bob cuts, Instagram is the place you are going to want to be when determining your short hairstyle. 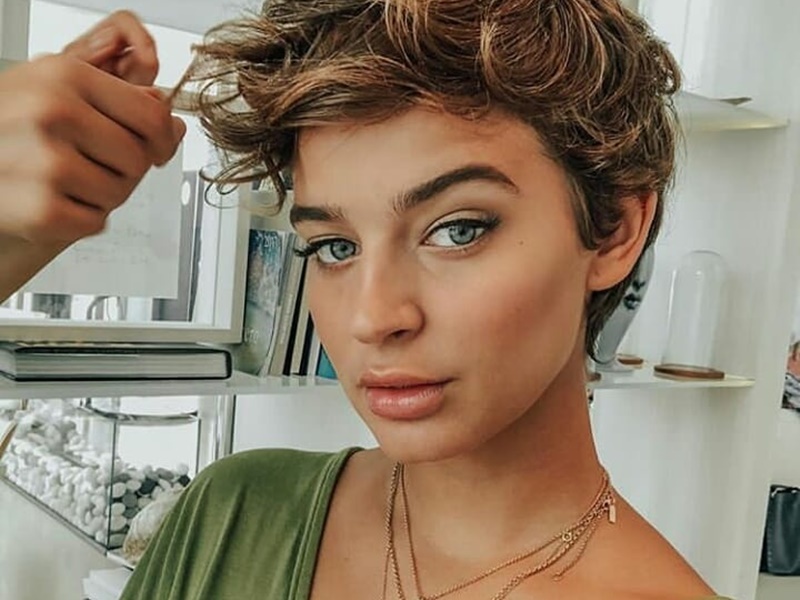 We rounded up 45 of the best short hairstyles that were shared on Instagram this week, take a look. 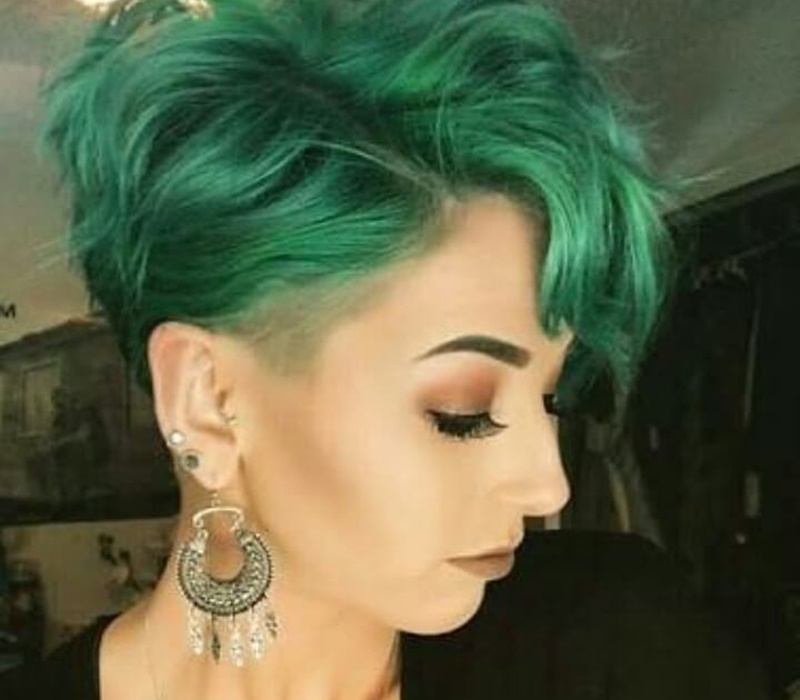 This forest green bob is screaming to be your next style. With the beautiful color and amazing volume from the curls, you will instantly be turning heads and having everyone envious of your new locks. 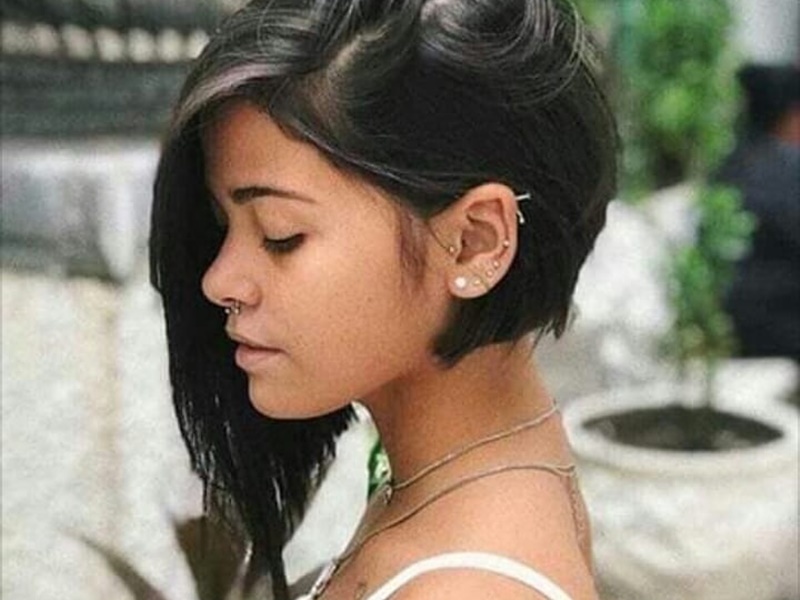 Cut your hair right below your ears, add in a few layers for definition, and you will be good to go with this short hairstyle. 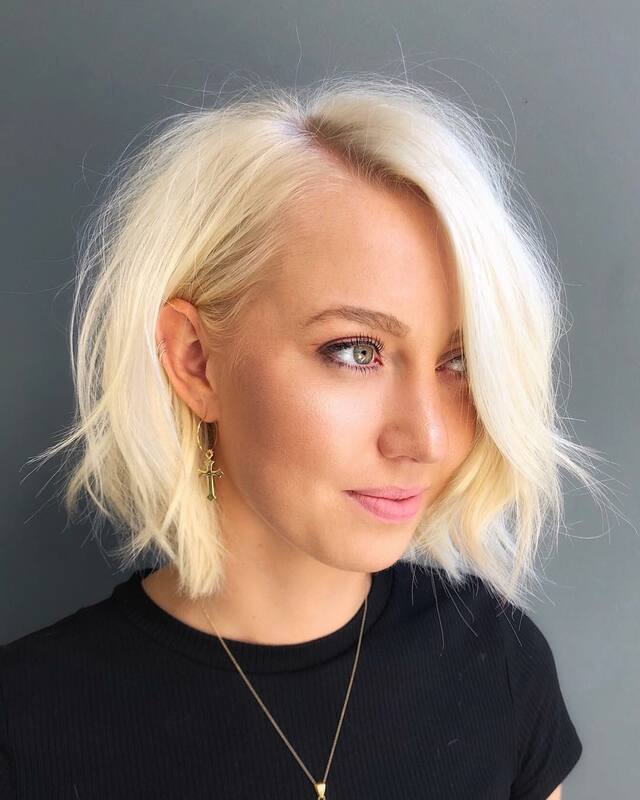 Bobs look great on just about anyone, but you can change your bob up a little bit by adding some super blunt bangs to the mix. Cut your bangs so they are straight, blunt, and hit your forehead in the middle. Wear the rest of your hair a little wavy to really amplify your look. 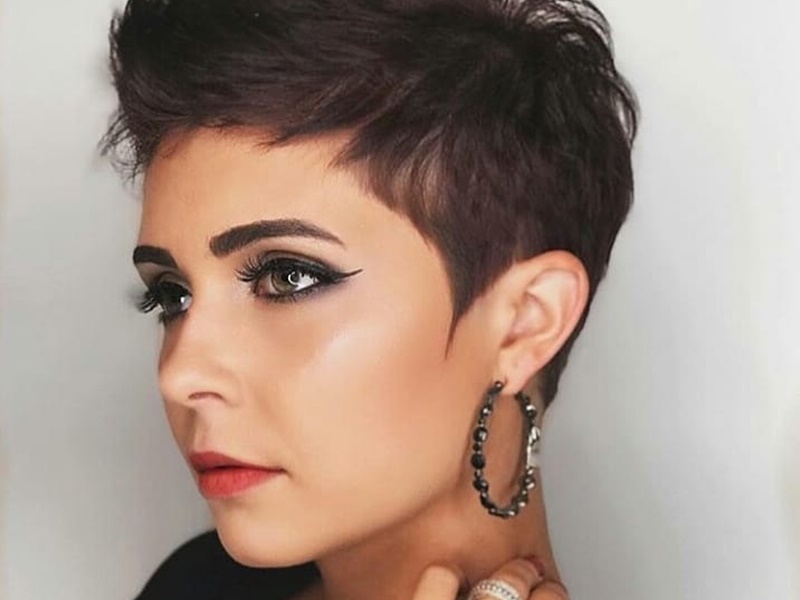 This pixie cut is cute and edgy and will make your morning routine a whole lot simpler. Keep your hair a bit longer in the front so you can spike it up a bit and add a ton of volume to the look. Shave the sides and back and keep the lines very clean. If your natural hair wants to go crazy, then let it. 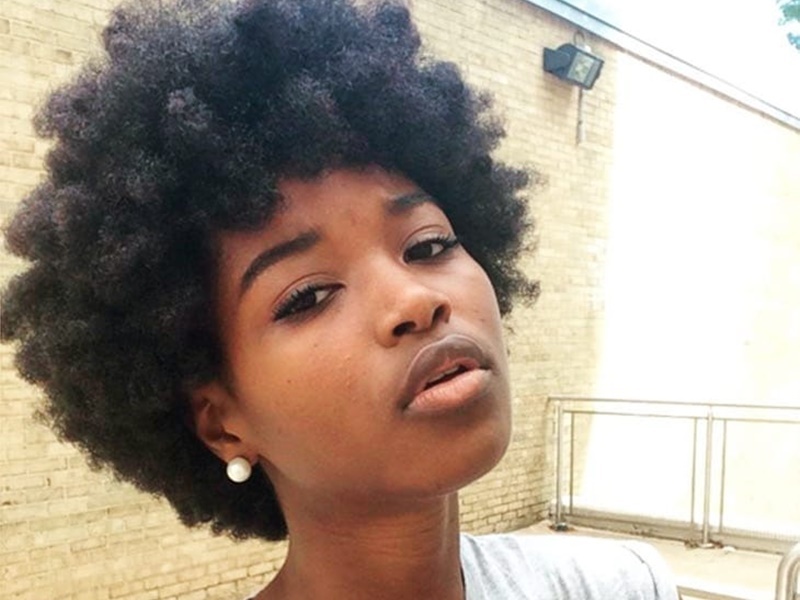 Take inspiration from this beautiful photo and grow your hair out until it reaches its perfect afro potential. If you want to achieve even more volume then you can use a pick comb to help things along or just wear it how it is. 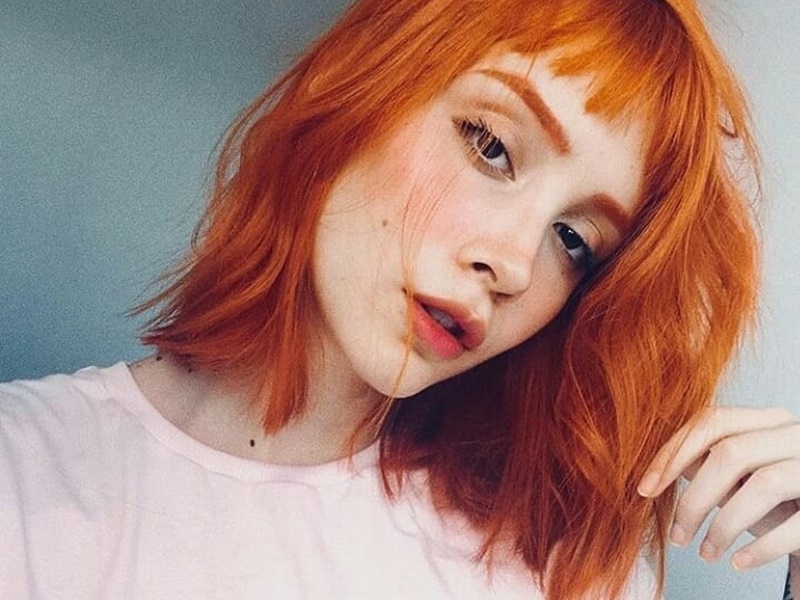 Rev up your lob by dyeing it a beautiful fashion color, like this amazing orange. Cut your hair right about chin length and add in some blunt mini bangs to help the look. Add some styling cream and leave your hair a little messy looking. 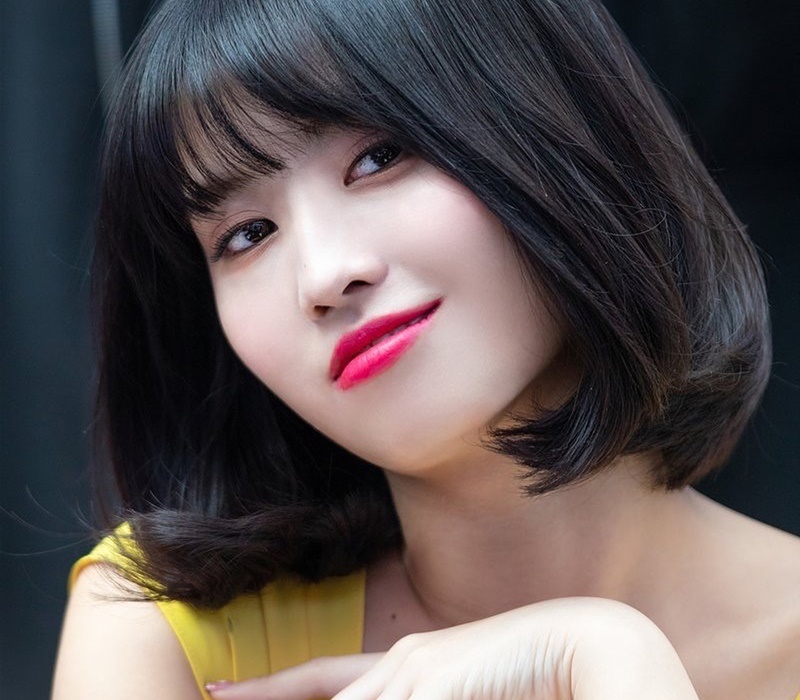 Sure, you can follow everyone’s style and wear your bob in a beautiful wavy messy or you can break out your straightener and make your hair pencil straight. Cut your hair right below your ears and add in some not so perfect bangs. Take your straightener and run it through your hair a few times to get it nice and straight and boom you have some gorgeous hair. If you are looking to be a little edgy with your cut, then try this bad boy out. Cut your hair so that it is super short everywhere except for one side. Leave one side way longer than the others, giving yourself an asymmetrical cut. You can wear the longer part of your hair straight or wavy, both will look amazing. This beautiful lob look is simple to maintain and looks beautiful regardless of how you style it. Cut your hair to your chin and wear it in a part down the middle. 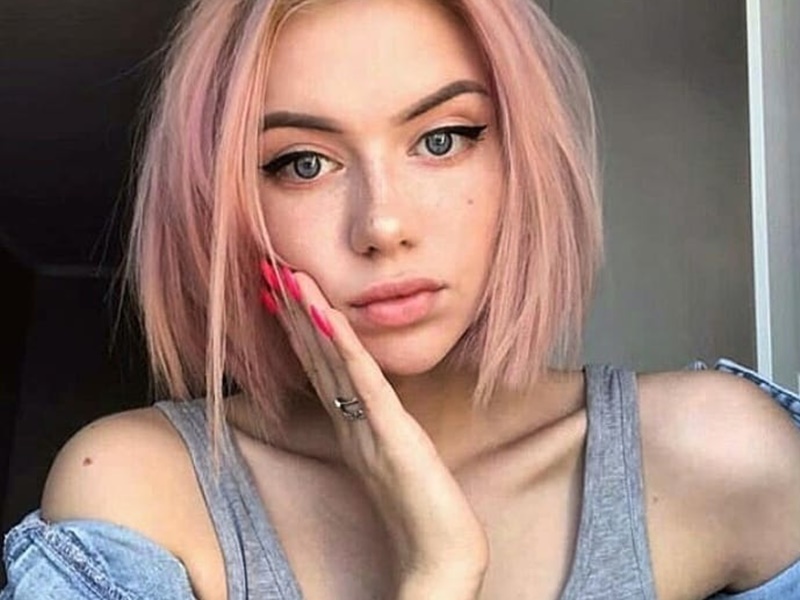 Add in a gorgeous color, like this light pink with a slight shadow root, and wear your hair straight to give yourself an effortless look. Go wild and dye your hair a brilliant platinum color, then cut it into a perfect lob. The color and hairstyle mixed together looks beautiful and will be turning heads instantly. Curl your hair to get more drama and volume and add in a small bang if you want. 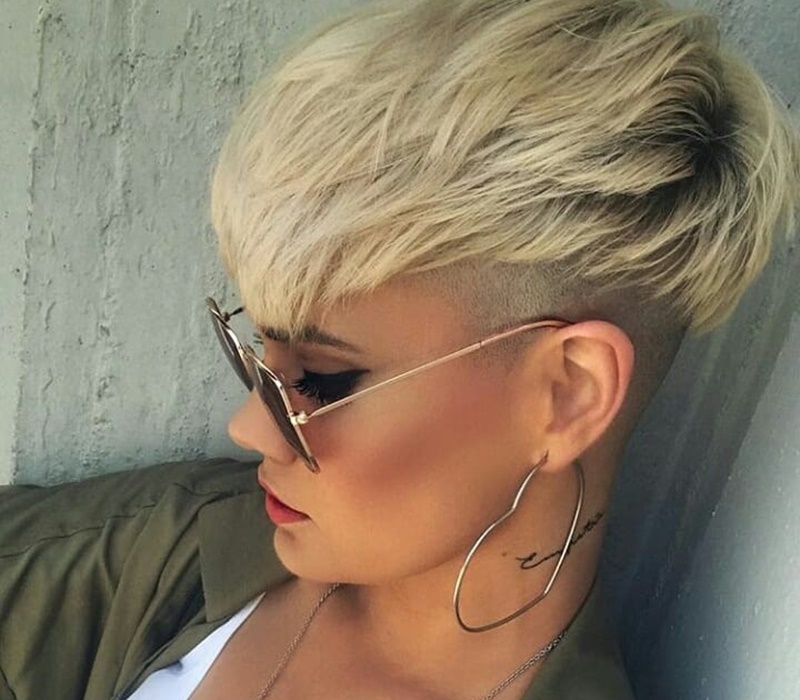 Take your bob to the next level with these peek-a-boo shaved sides. Keep your hair longer everywhere except fort he sides, where you can shave those babies down. Add in an awesome color, like this silver, and wear your hair extremely straight to really get the whole look. Take the plunge and cut your hair into a super short blunt, you won’t regret it. Cut your hair so it lands right at your ears and adds in some super thick bangs to give yourself an edgy look. Add the slightest curl to your hair to give it some dimension and you are finished. Shadow roots are really in right now and it makes maintaining your colored hair a lot easier. 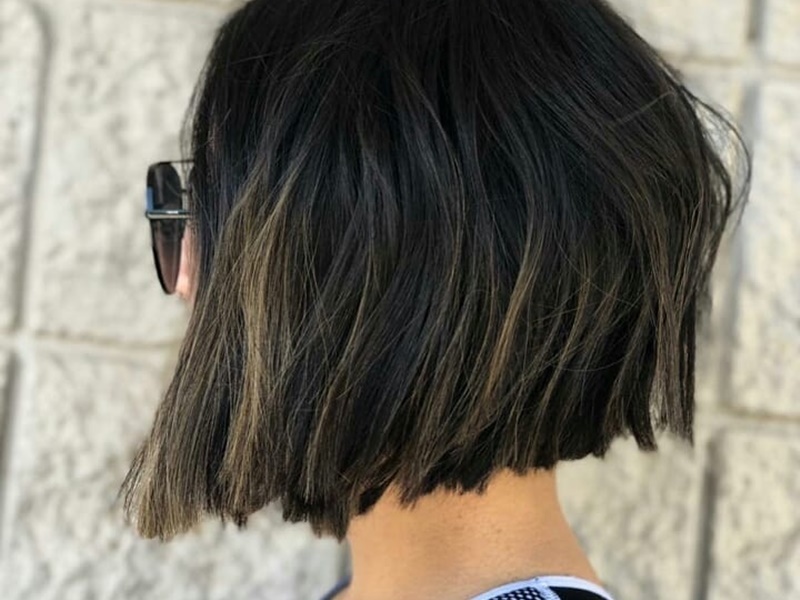 Have your hair cut into a nice bob style with some choppy layers. 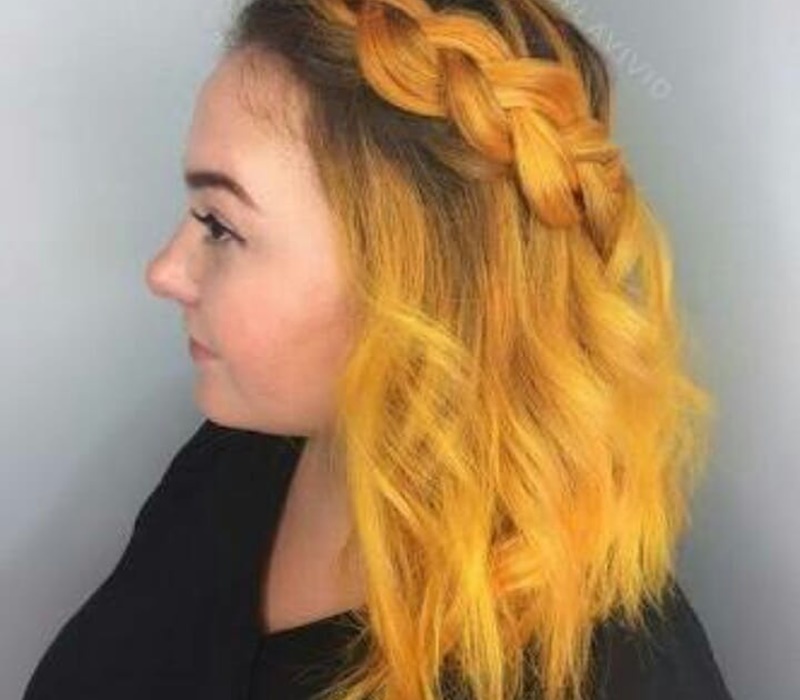 Color your hair but make sure to mention the shadow root, so your stylist won’t color your entire head. Add some styling cream and mush your hair around to give it a messy wavy to it. 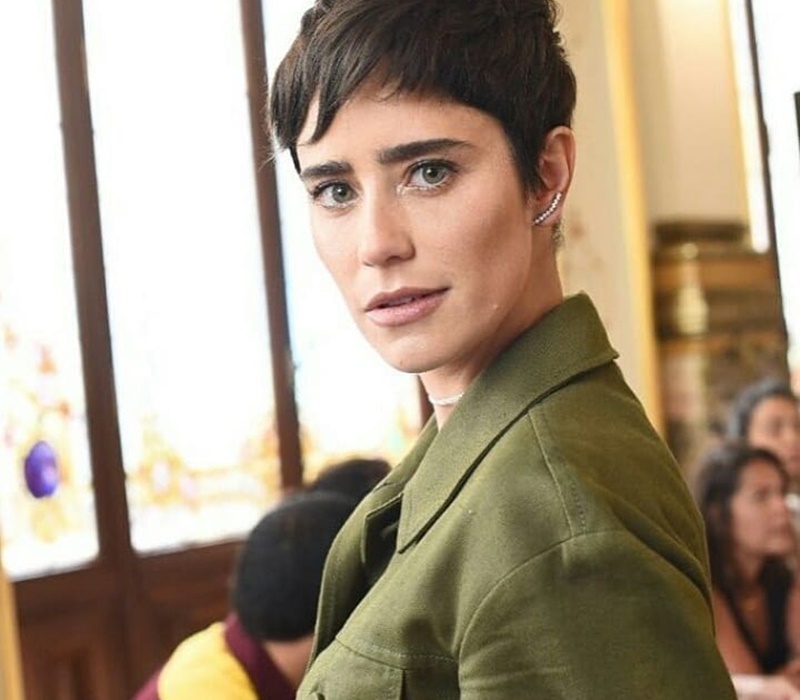 Rock this beautiful pixie look and have everyone’s head turning. Cut your pixie short on the sides and back and keep the front a little longer with some bangs. 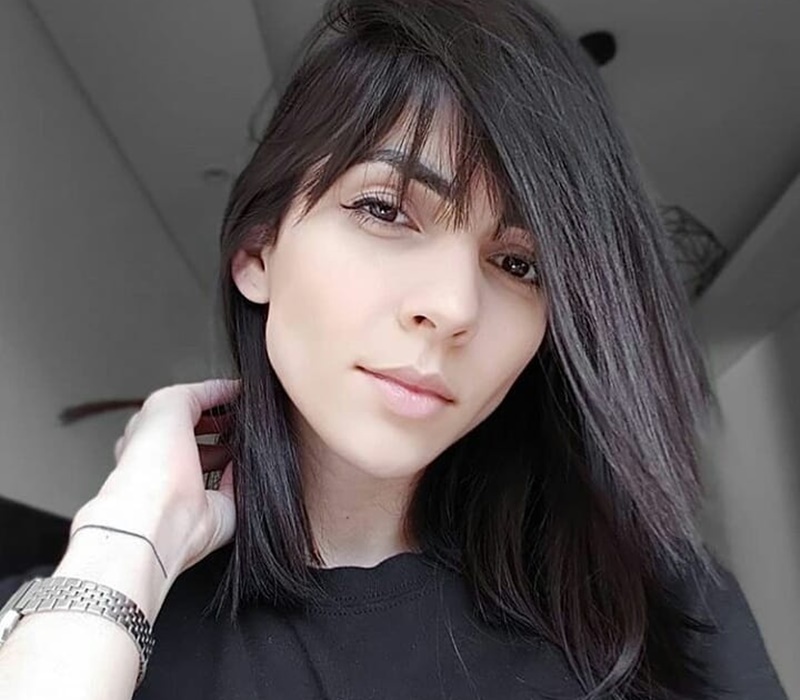 Wear your bangs straight and to the side or sweep those suckers back so they are out of the way. Either way, this style will look amazing. 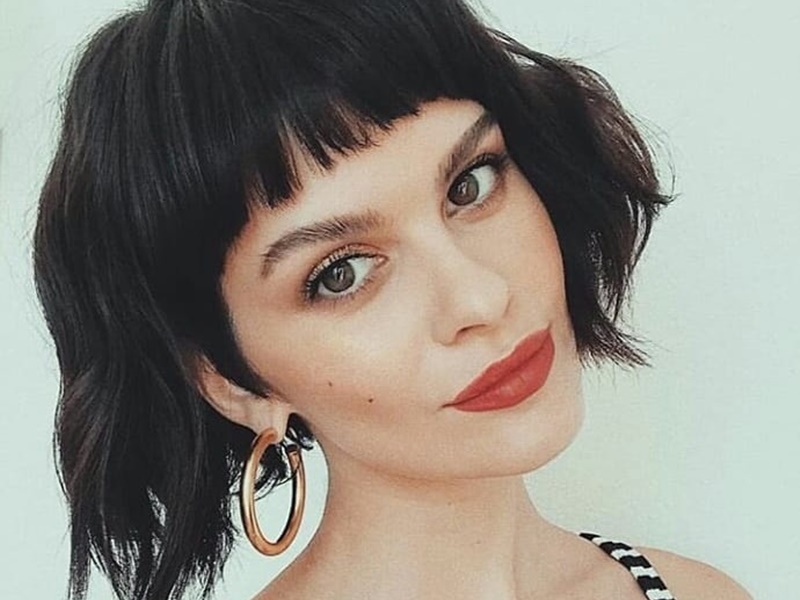 This curly pixie cut will show off all your beautiful features and look amazing. Cut your hair short but keep the top a little longer. Add in a bunch of curls and finish off with some styling cream to hold everything in place. Let the look stay a little messy, it works well that way. 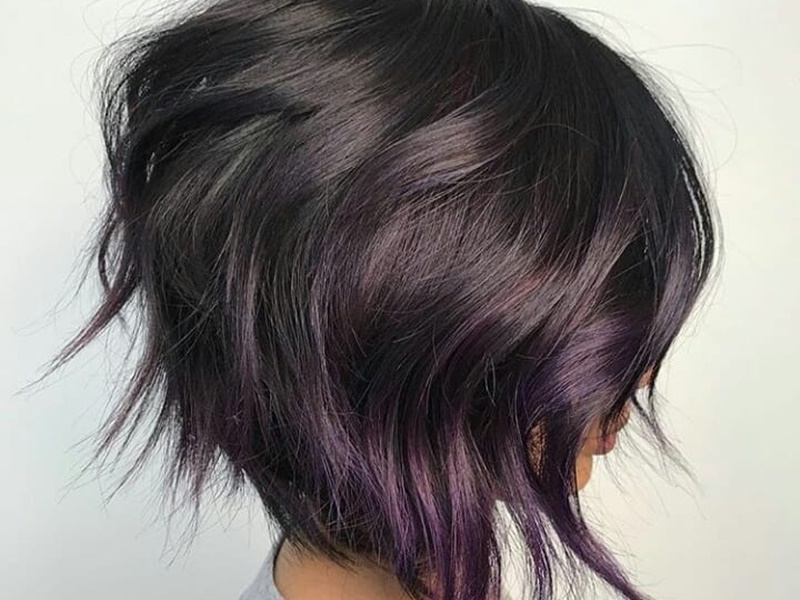 Wear this amazing color purple in your hair and you will never want to dye your hair another color. Pair this amazing color with a beautiful lob to really get an amazing style all around. Wear your hair curl to amplify the look and add in a slight bang if you’re feeling it. 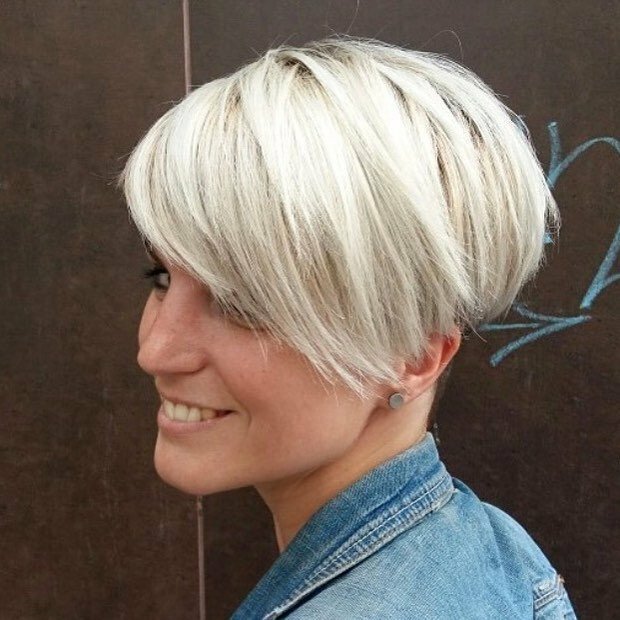 This pixie is perfect for the busy person who still wants to have an amazing look. Cut your hair super short everywhere expect to leave it a little long on top for some bangs. Add in a small pop of color that looks appealing to the eye and curl the longer part of your hair to keep it off your face. This look shows off your facial features perfect and is so adorable to wear. This rounded bob helps give your hair some shape but also looks amazing. 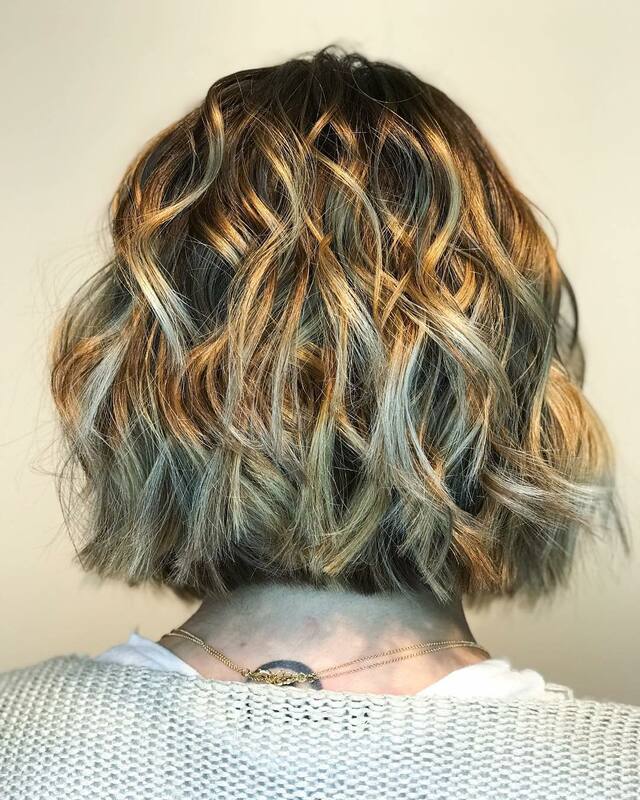 Add in a ton of layers to your hairstyle, plus a small pop of color throughout it, and leave it longer in the front and shorter in the back. Add in a few waves to give your hair some shape and you are good to go. 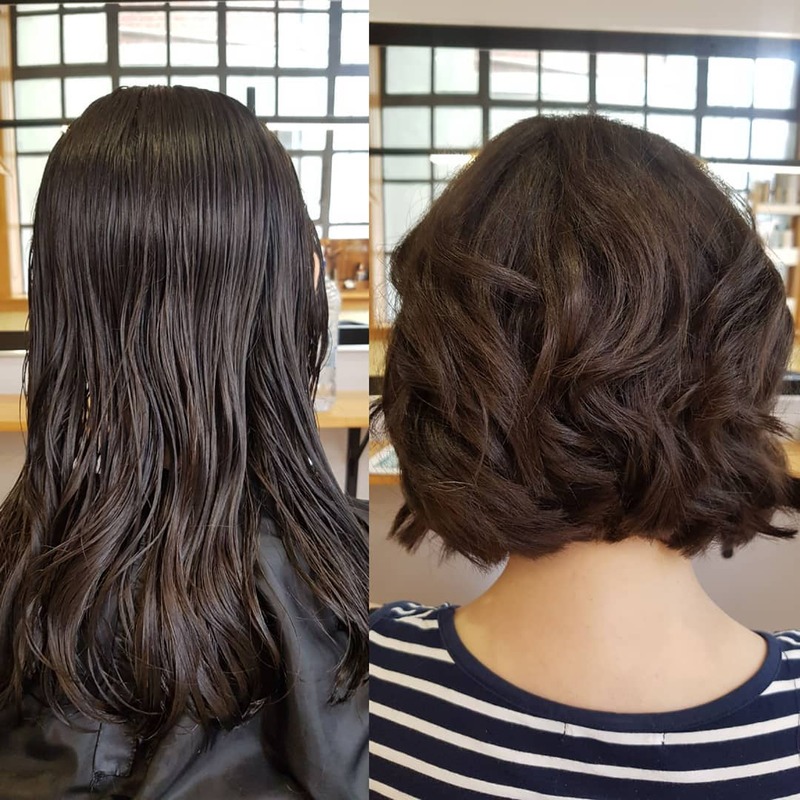 When you cut your hair into a lob it doesn’t have to be curly and wavy like most people. Take inspiration from this photo and wear your lob super straight and elegant. Run a straightener through your hair a few times to get that ultimate straight look and your hair will look beautiful all day. 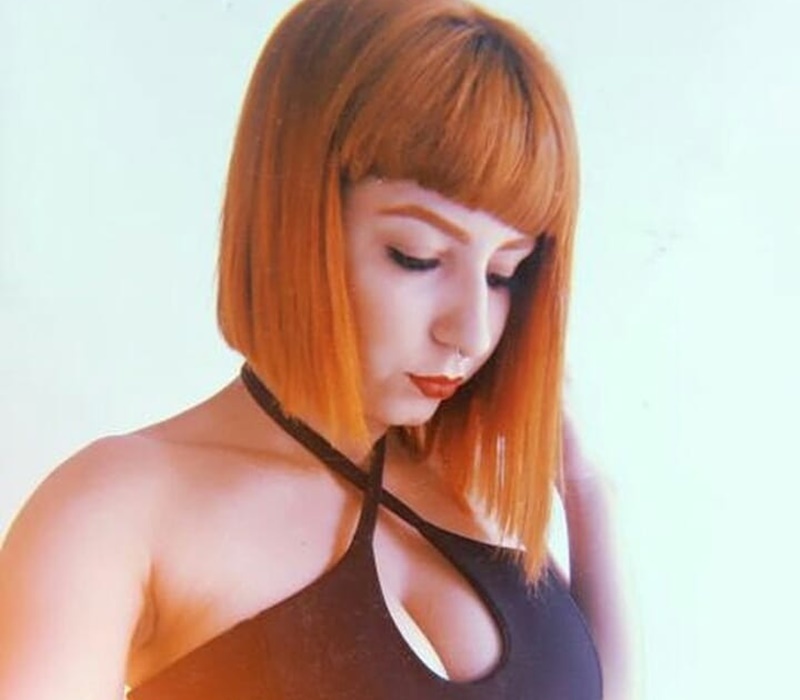 This blunt bob that is far from perfect looks amazing and you can easily wear it. Cut your hair so it is super blunt and a bit uneven to really get a messy, edgy feel. Add in a few highlights to give your hair an extra pop and you are finished with your amazing looking hair. 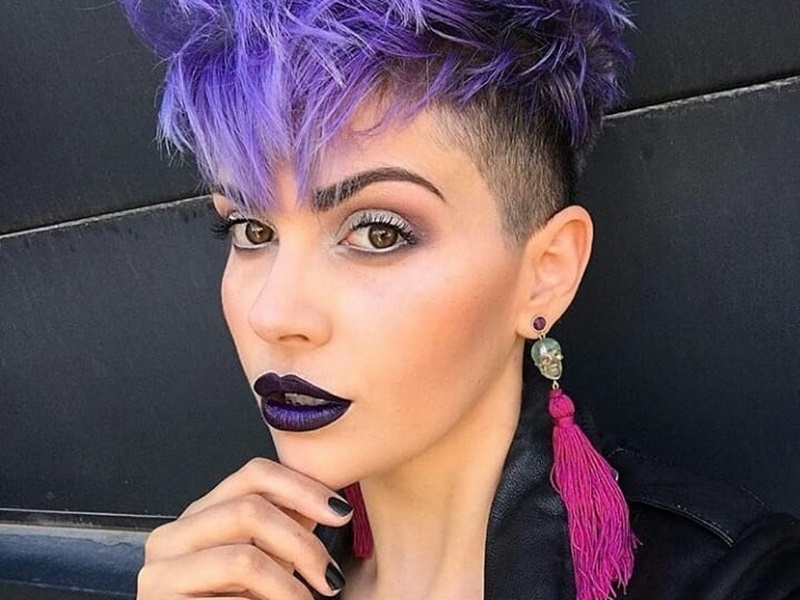 Trust us when we say you can totally rock a gorgeous purple mohawk. Yes, you can. Shave the sides and back of your hair, leaving it just long enough down the middle to really add volume and rock an awesome mohawk. Dye your longer strands of hair a vibrant beautiful purple and let those babies fall wherever they please. Adding a fun new color to your look can really change your hairstyle for the best. 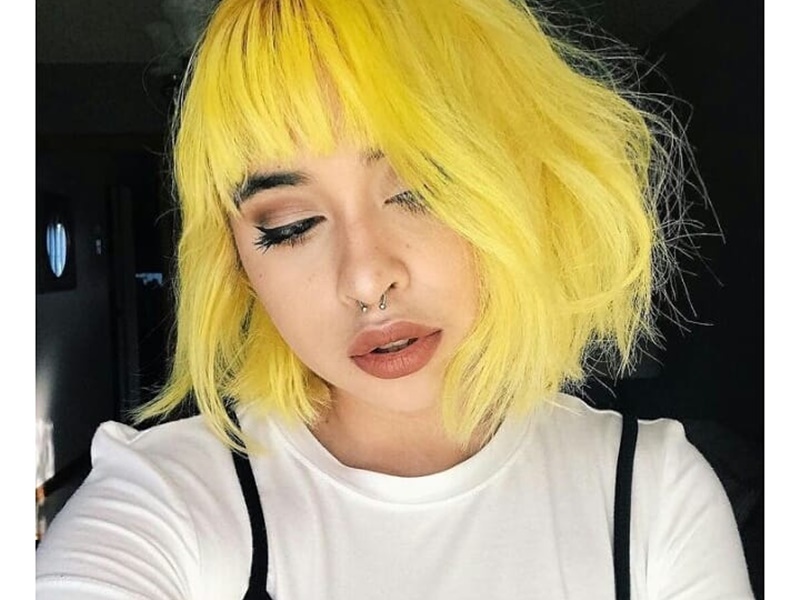 If you bob is feeling a little weird then choose a fun fashion color, like this beautiful yellow, to mix it up a bit. Add some bangs to the mix to give yourself another gorgeous change and your hair will be looking great no matter what you do to it. 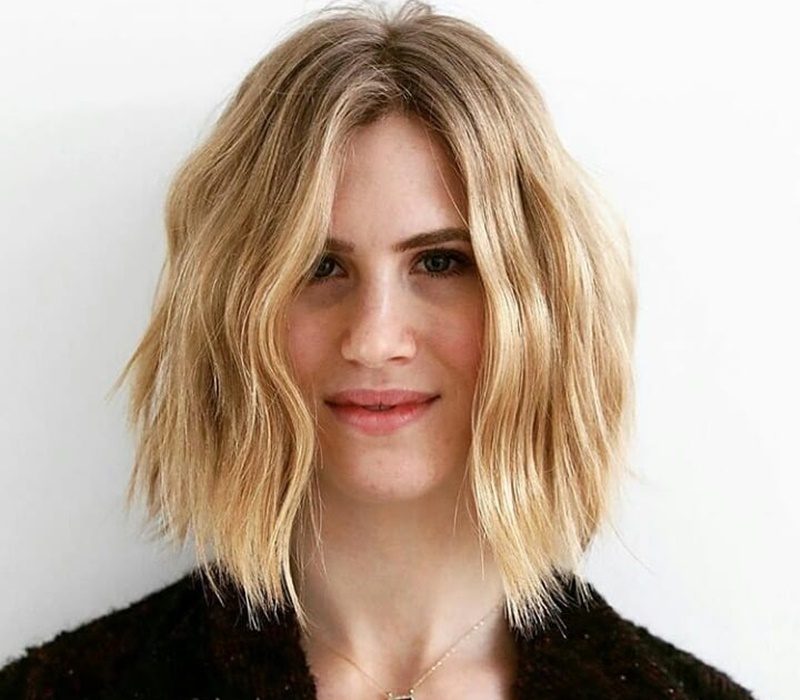 When you cut your hair into a lob you still have a lot of options on what you can do to it. 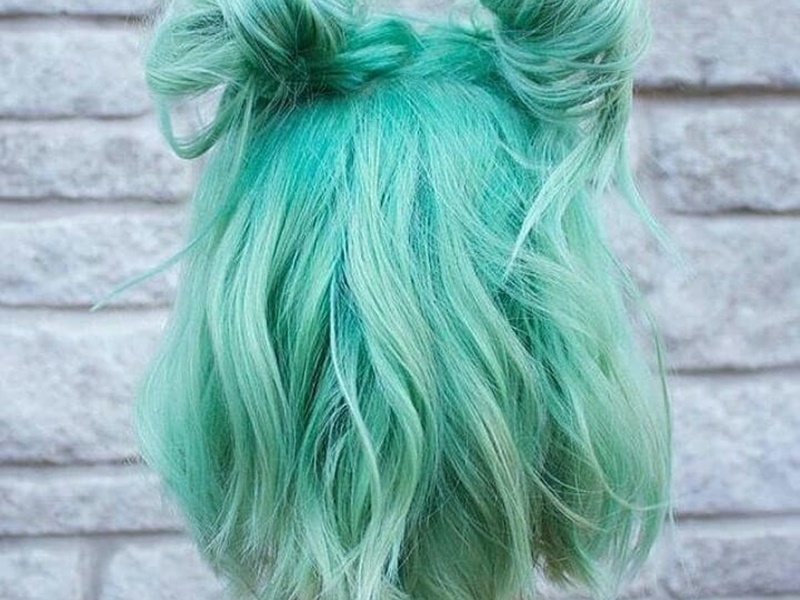 Add in a fun fashion color to really turn heads, this minty color will do the trick, then tie your hair up into two small buns to add a little fun to it. Curl the rest of your hair to give yourself some wave and you are finished. 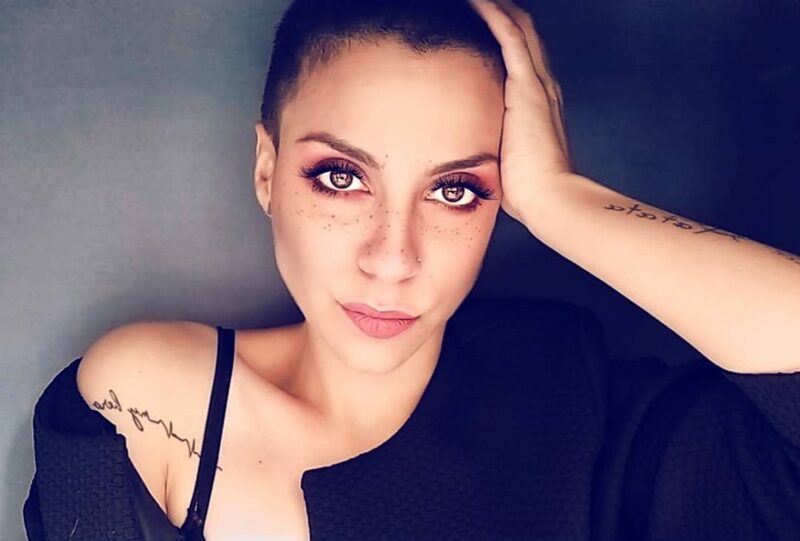 If you are really looking to have a low maintenance hair the rock this natural pixie look. Cut your hair super short but don’t give up all the fashion. 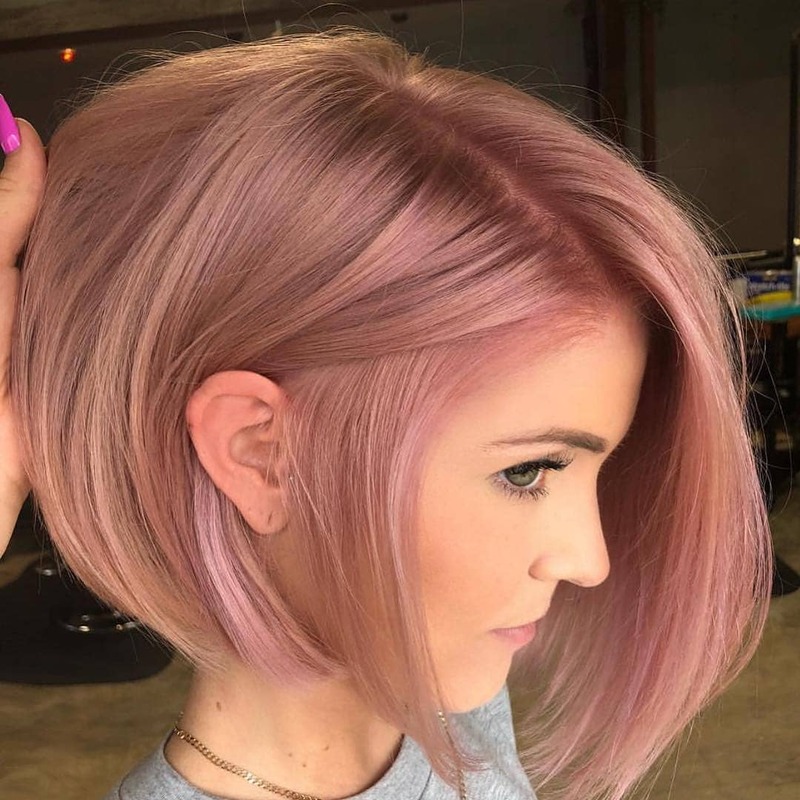 Add in an amazingly fun color to give yourself an extra pop and your hair will be looking fabulous even when it is short. 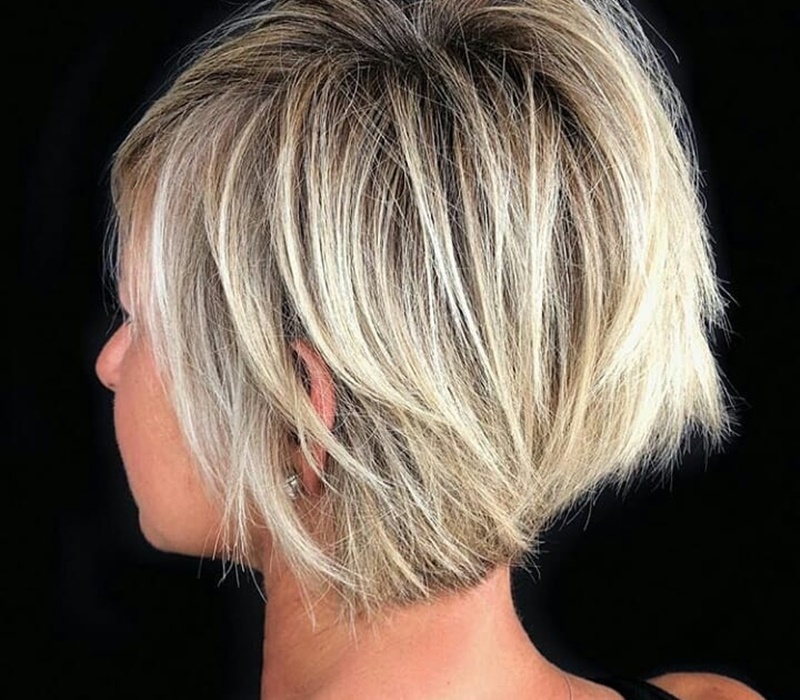 This textured bob style looks great on anyone and works perfectly with a nice shadow root. Chop your hair down and add in a few layers to give it a nice messy feel. Keep the back a little shorter and the sides longer so you have some hair to play with. Add in some styling cream to hold the look all together. 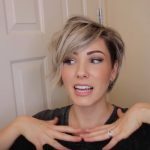 You don’t have to compromise style when you cut your hair into this pixie. Let a little length towards the front and give yourself a slight side-swept bang. Mix in some styling cream to keep everything in place and shiny and your hair will be looking fabulous all day. 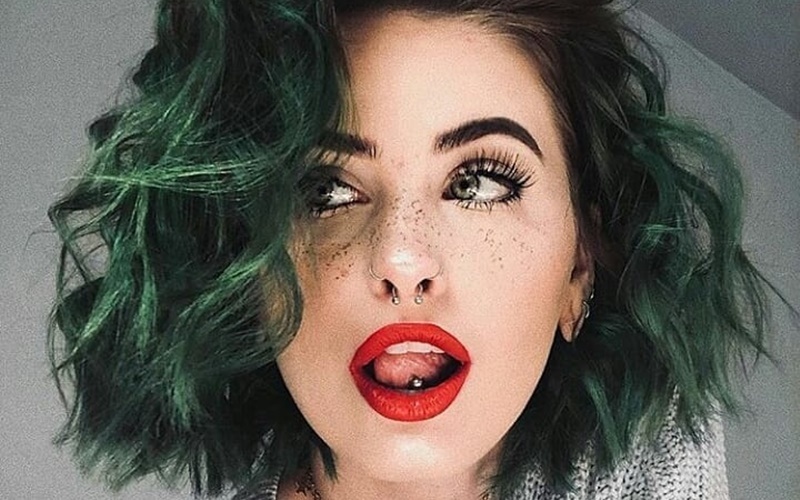 Singer Halsey has been seen rocking this cut, and you can be next. Keep your hair longer on top and shave your hair down super short everywhere else. Add in a few layers on top to give your hair some dimension and dye if a blonde color to give yourself something new. Create a ton of volume with this glorious lob. Part your hair on the side and add some texture spray all around your hair. Work the spray in and add a few curls to your hair to give it a wavy feel. If your hair has some choppy layers then it will really add to this look. 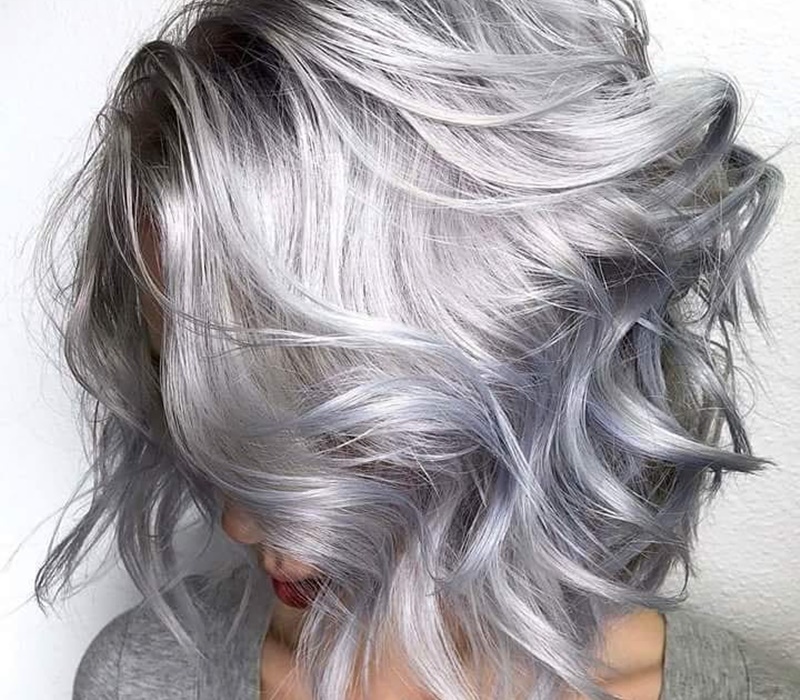 This silver lob is just the hairstyle you need to change your hair from drab to fab. 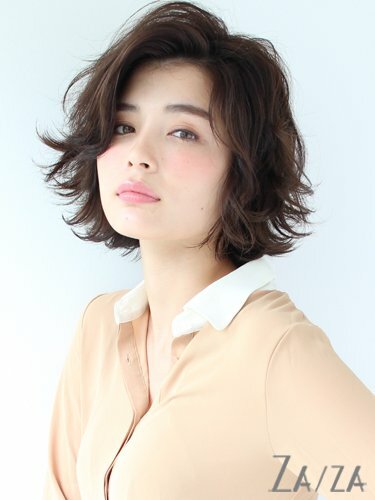 Cut your hair to chin length and add in a lot of layers. 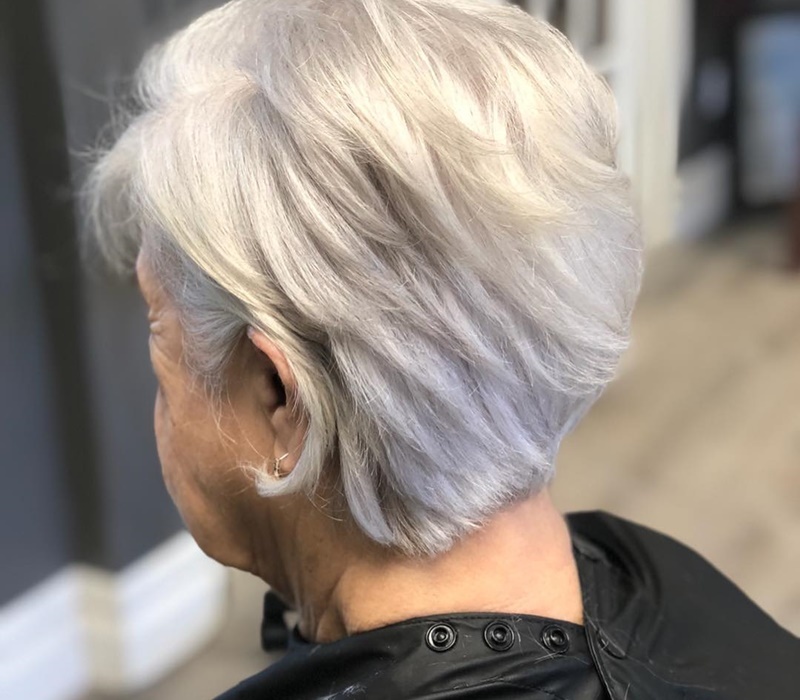 Color your hair a beautiful silver color to really take your style to the next level and add in a bunch of curls that will give you lift and volume. This simple lob is easy to work with and looks cute on just about everyone. 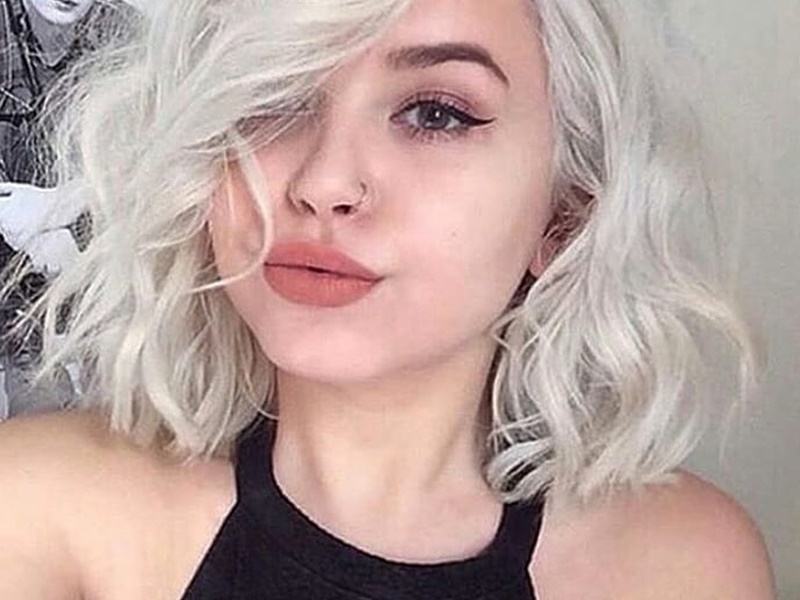 Cut your hair short and then curl all the ends under so they face your chin. Add a nice simple bang to the mix and have them hit right under your eyebrows. 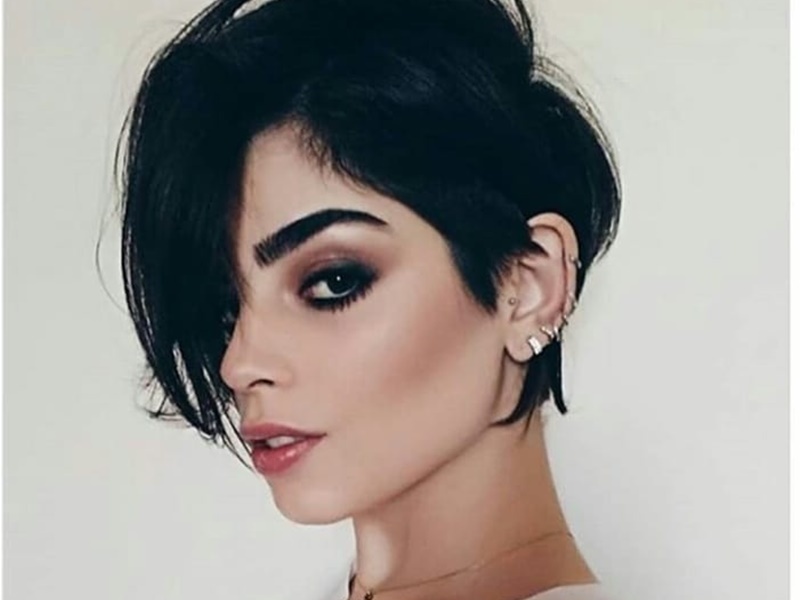 This pixie gives you just the right amount of length and even gives you a lot of texture. Keep your hair on the longer side and add in a lot of layers to help give it some texture. Style it back a little bit and out of your face so you can really show off all your amazing features. 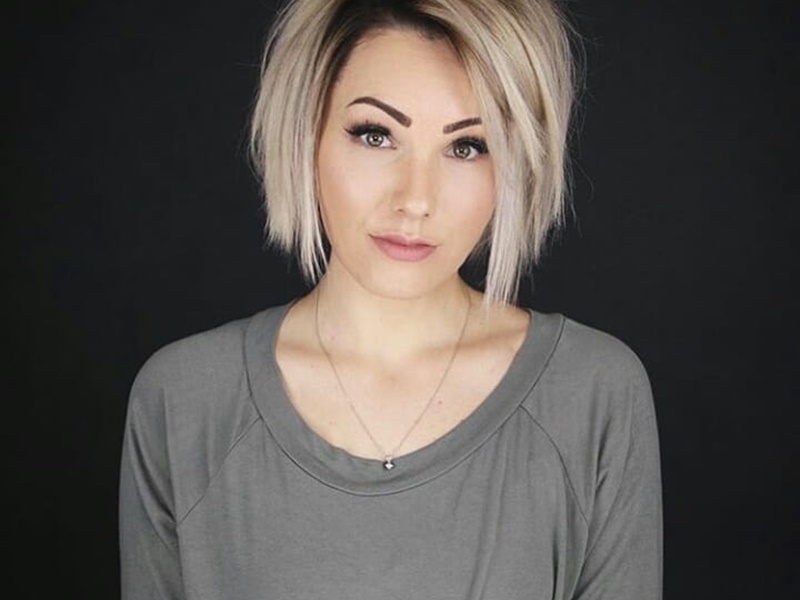 This feathery bob with your natural color looks absolutely beautiful. It keeps your hair off your face but still looks amazing from the back with all the layers added into it. Make sure to cut it right at the nape of your neck to really get a full bob. 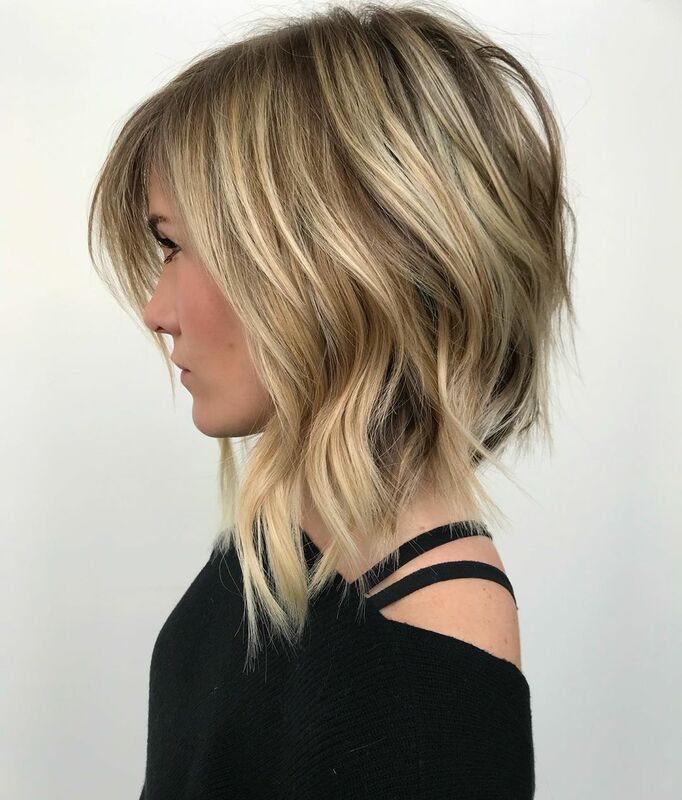 The balayage lob is probably one of the number one hairstyles today and we can see why. Add some curls into your hair to give it a lot of dimensions and with the balayage color, your hair will surely pop. Sure this uneven lob might not be for everyone but taking the risk is worth it. Have your hair cut so that one side is longer than the other and even throw some uneven bangs into the mix. Run a straightener through your hair to really get the uneven effect even better and people will be loving this unique style. If Katy Perry can rock a pixie then so can you. 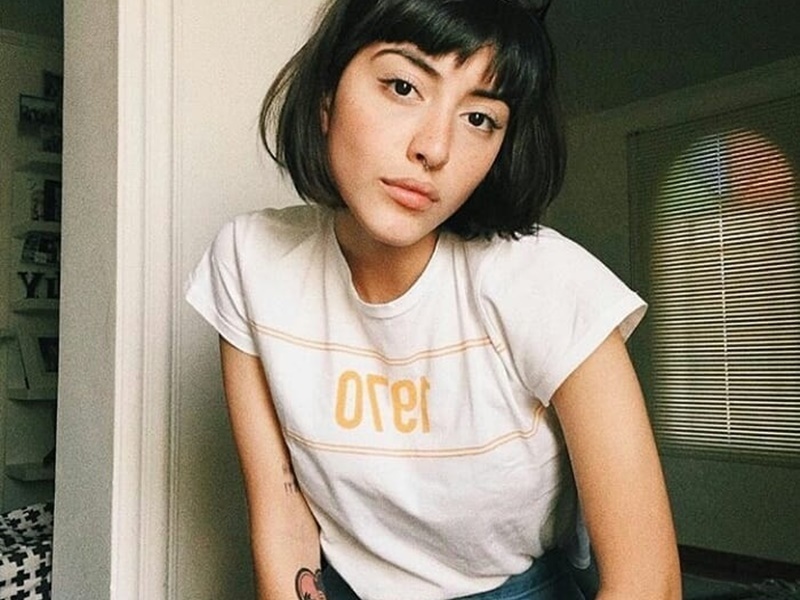 Cut your hair super short and give yourself the tiniest of bangs. 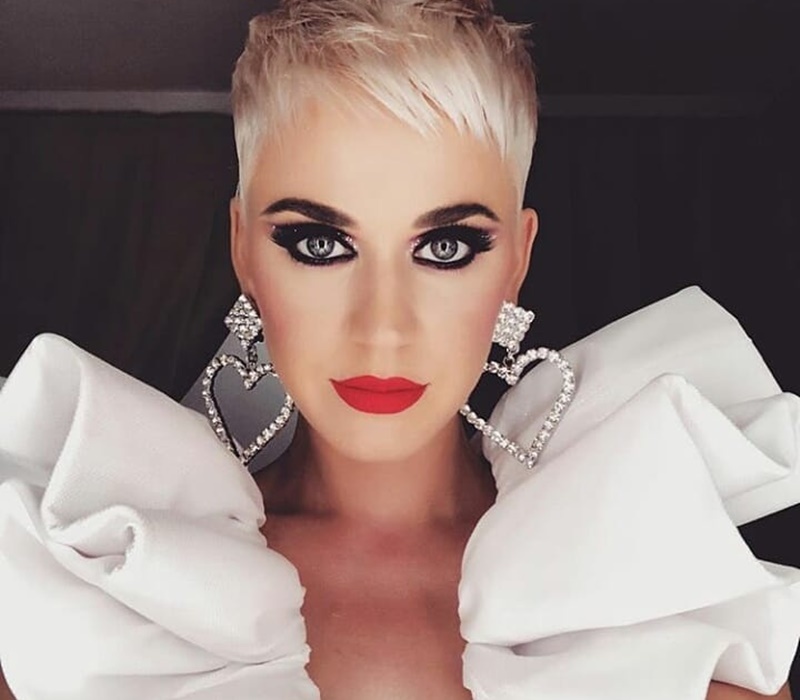 Keep everything tidy and in place with some styling cream and you can even take it up a level by dying your hair a platinum blonde as Katy did. If you are loving your lob but just want the slightest of changes, why not add in a nice wispy bang. Bangs are super easy to get and look great on a lot of people. Have your bangs end right at your eyelashes to give yourself a nice style. Just because you have a bob hairstyle doesn’t mean it has to be perfect. Cut your hair into a bob but leave the front of it a little longer and add in a whole bunch of layers. Add some simple wispy bangs and you have a completely beautiful look. For this style, you want to keep your lob very straight with a slight part on the side. Pair it was some simple and straight side-bangs to give yourself a cute girl from next door look. The style perfectly frames your face and is easy to style. 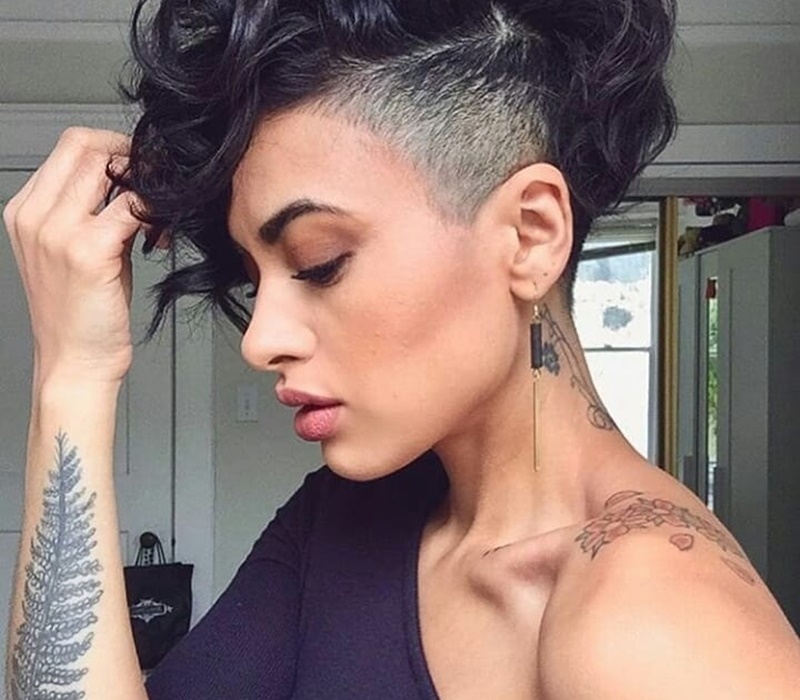 Cut your hair into a nice short pixie style, you can even shave it down on the sides and in the back. Leave the top super long and curl it all over. Use some styling cream to keep everything in place and you will be good to go. This easy lob is simple to style in the morning but looks super fantastic. Part your hair in the middle and add some curls to it so it can be nice and wavy. 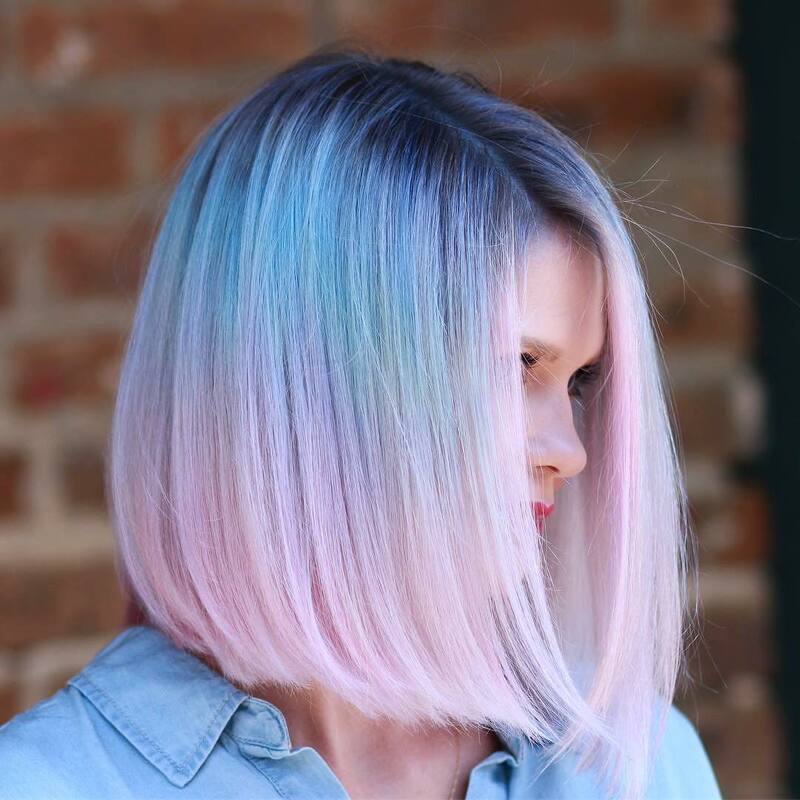 Add some color to give your style a pop and all your friends will be raving about your hair. 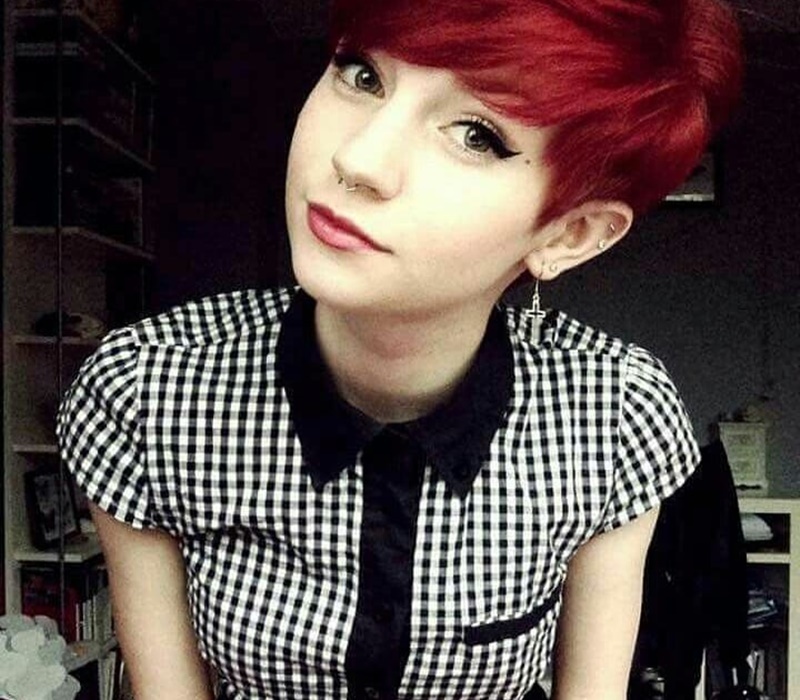 This red pixie will look fantastic on anyone and it is up to you if you want to pair it with some thick side-swept bangs or not. Keep more of your hair full and thick and use a little styling cream so everything is nice and smooth. Braid your hair into a crown braid and wrap it around your head. Add some curl to your hair to give yourself some dimension and color it a nice bright color to really add some drama to your look. 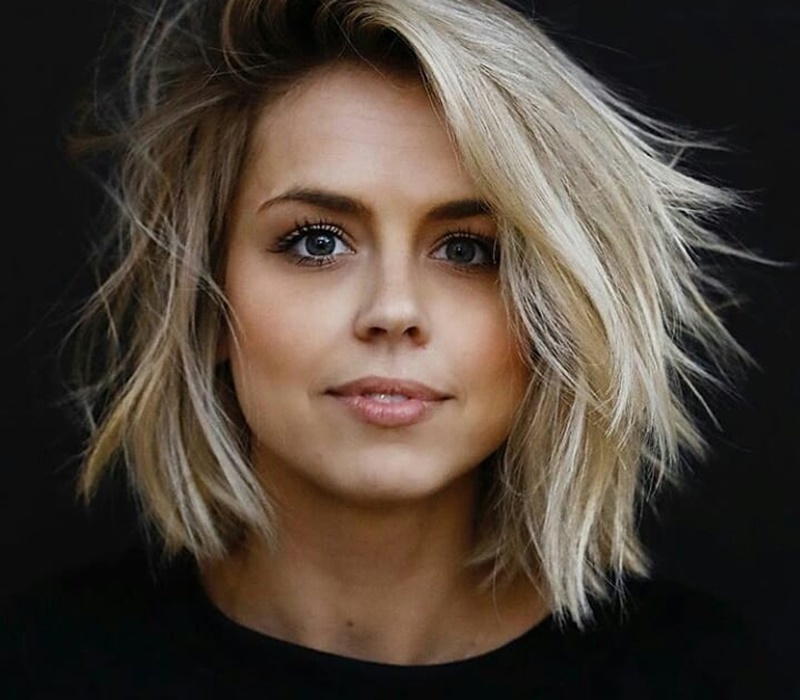 This pixie is an amazing color and with the layers to give it volume and slight curl, you will be wishing you cut your hair sooner. Add a slight part to the side and give yourself some bangs, then curl the top part of your head to really add that volume in there. 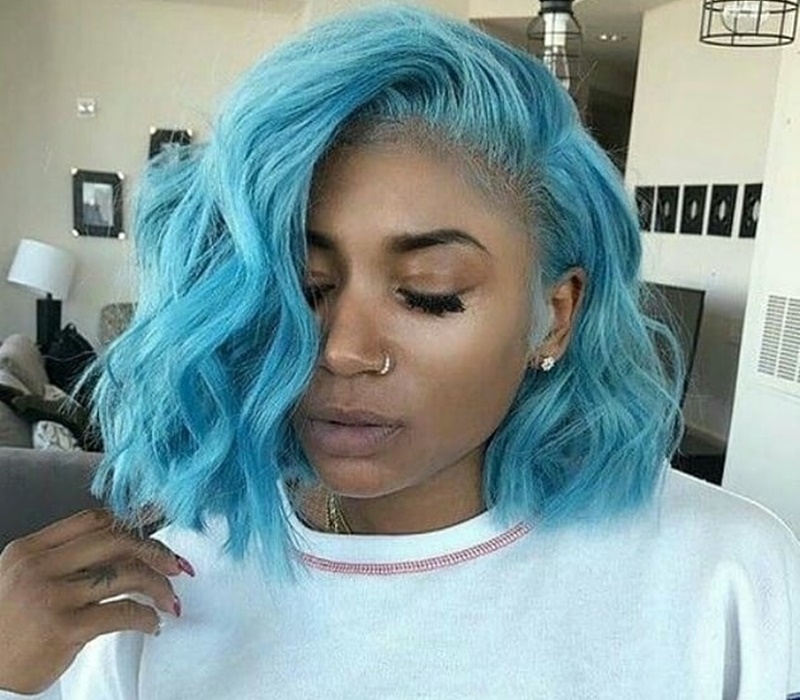 This blue curly lob is screaming your name and we can see why. This color will turn heads and blue looks great on just about everything. Curl your hair to give yourself a lot of volume and part it on the side to add to the drama on the look. 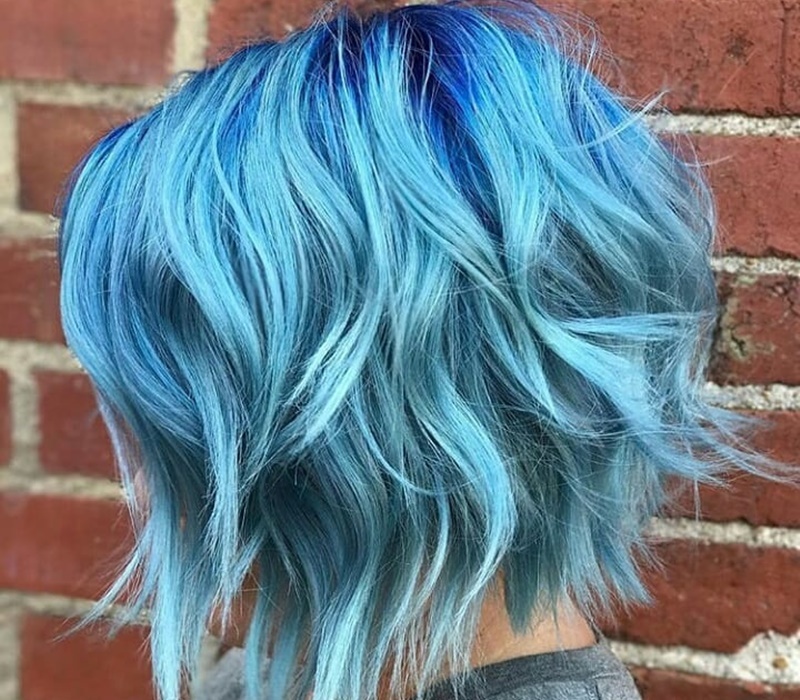 This shadow root is taken to a whole new level with the cobalt blue added to it. Have you lob longer in the front and shorter in the back and add some curl to just finish the whole look off. Make sure you have tons of layers to really make the curls pop. 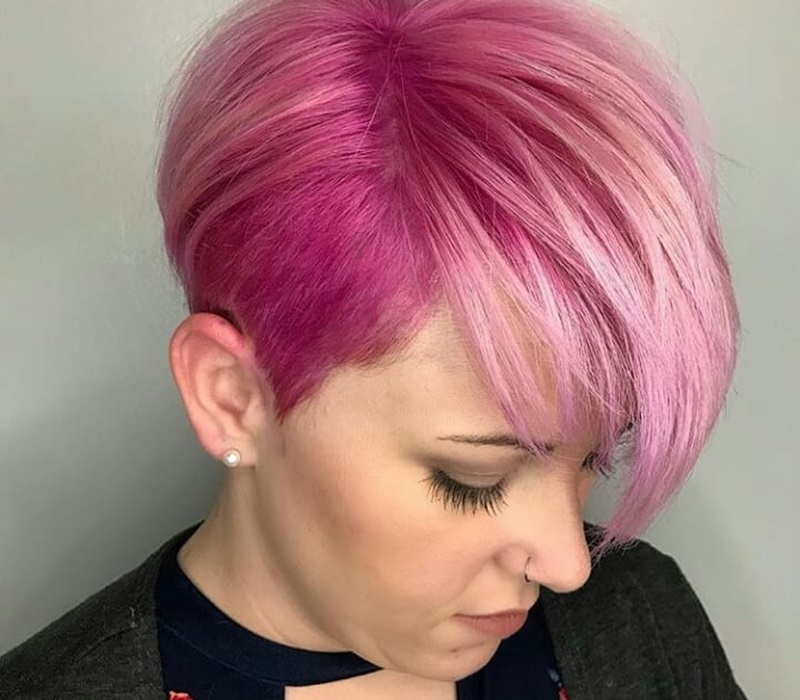 Take your pixie to the next level with this mixture of pink colors and the shaved sides. Keep your bangs long in the front to add a lot of drama and part it to the side so you can get your shaved sides peeking out. 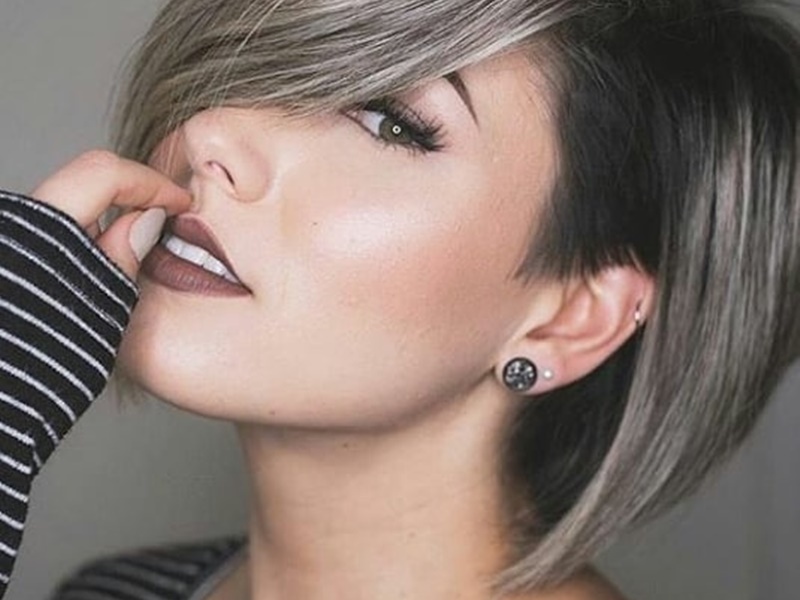 It is simple to browse Instagram and really get a feel for the style of short hair you want. 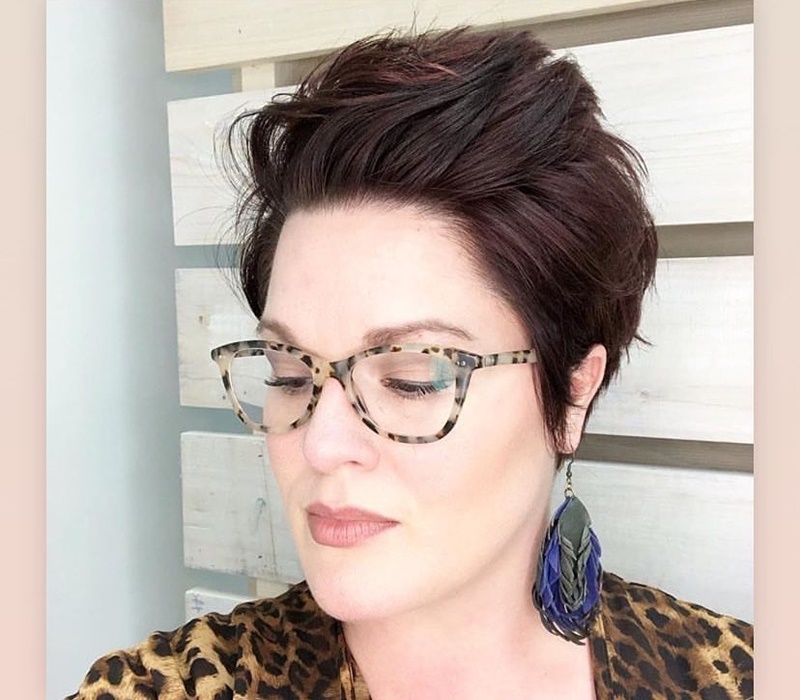 Going into a hair appointment with photos of the looks you like will only benefit you, so take some time to really dive into Instagram and try to find the right short hairstyle that will work for you. There is always something out there for someone, it just takes a little time to find.